On December 10th (12pm to 5pm) get your Holiday shopping on at SHG’s Annual Holiday Marketplace! 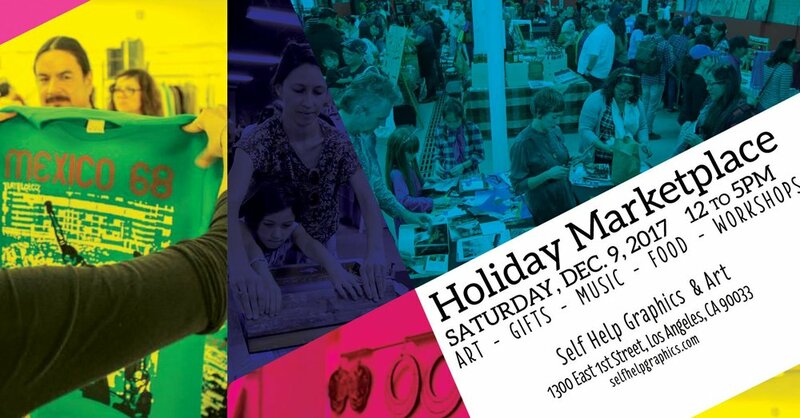 Pick up high-quality crafts, food and fine art from a specially curated group of local vendors and artists, including serigraphs from Self Help Graphics & Arts print collection! Programming for the day includes a unique series of printmaking demos & workshops from some of the Eastside’s favorites artists. Additional demos, workshops and artist talks will be scheduled through the day.